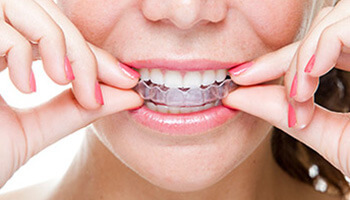 Many professionals would like to correct noticeable gaps or misaligned teeth, however they find the prospect of wearing noticeable metal braces unbearable. Invisalign clear aligners offer an aesthetic treatment option for such patients. Invisalign offers a series of clear, removable aligners that work to straighten your teeth. With the new advances in the clear aligner technology, majority of adults and adolescents can have Invisalign as a treatment option. Over the course of treatment, you will be supplied with a series of aligners. Each aligner will fit over attachments (buttons) that are tooth colored and are glued on to your teeth. Each aligner will make slight adjustments to tooth position, a process that is mapped out in advance by your orthodontist, specifically for your malocclusion. When the aligners are placed on the teeth, they cause the teeth to gradually shift from their current position. After approximately one to two weeks, you will begin using the next set of aligners, which will continue the teeth straightening process. Adult female, anterior and posterior crossbite, crowded arches and worn dentition. 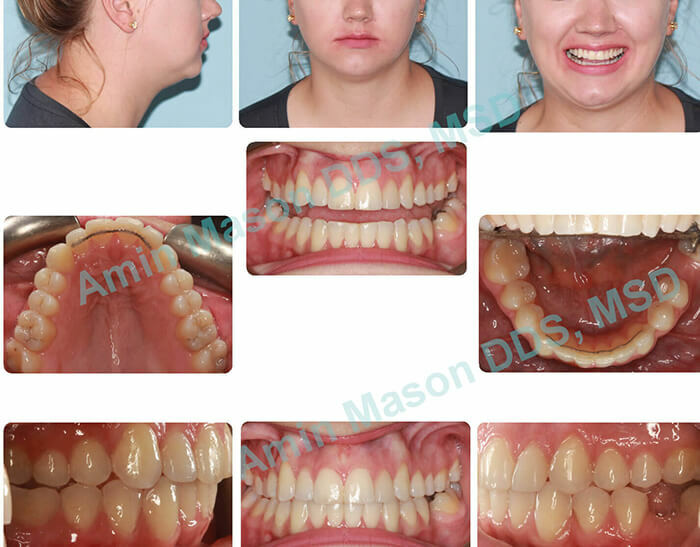 Treatment: Patient was treated with invisalign clear aligners only. Adult female, unilateral posterior crossbite, crowded upper arch, class II molar relation on the right with narrow smile on the right side. 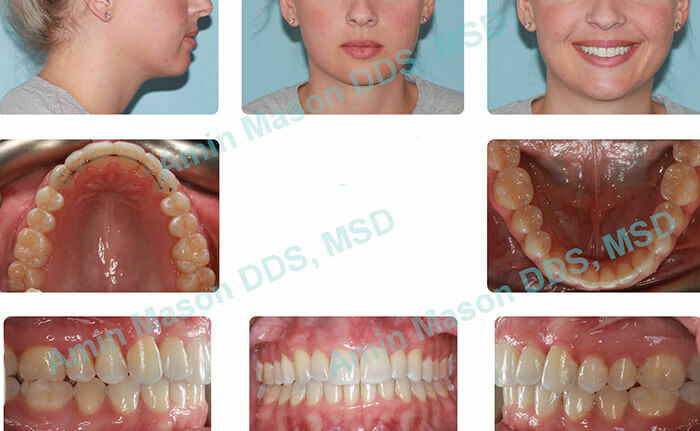 Treatment: Patient was treated with an expander followed by invisalign clear aligners. How Successful is Invisalign Treatment? Success of treatment with the Invisalign system depends on the clinician’s training and patient’s compliance. 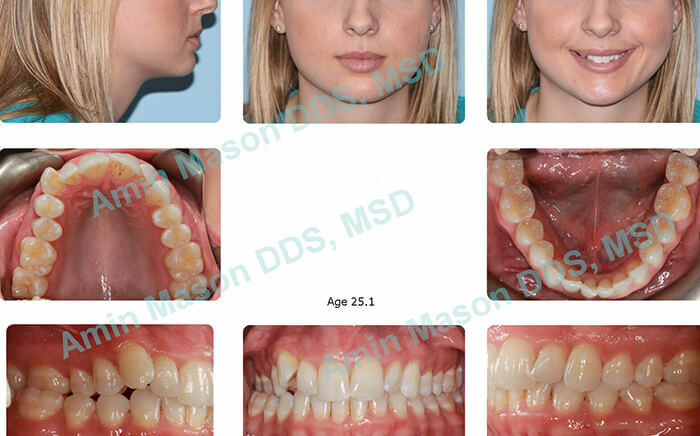 As an orthodontist, Dr. Mason has undergone university orthodontic residency which has allowed him to treat many simple and complex cases successfully with Invisalign system. He has been an Invisalign Premier Provider for multiple years, and has helped countless patients transform their smiles with Invisalign system. He has been recognized as a semi-finalist clinician in the North American Invisalign Summit in 2016. The Invisalign Summit Gallery recognizes orthodontists across North America who have achieved successful clinical outcomes using Invisalign clear aligner system. 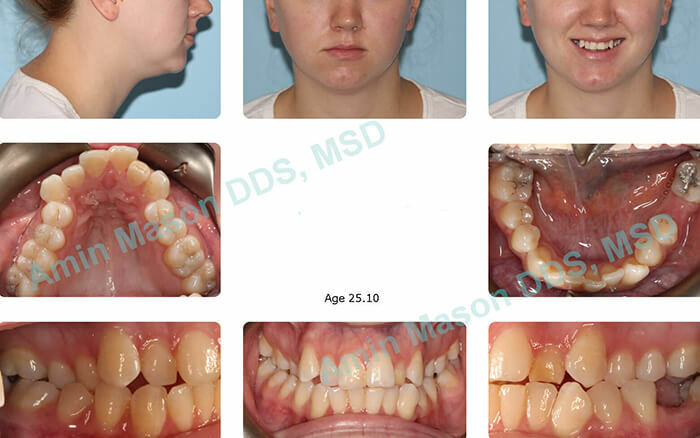 Among hundreds of patient entries, two of Dr. Mason’s patients were featured by peer-orthodontists as 2016 Invisalign Semi-Finalist cases.